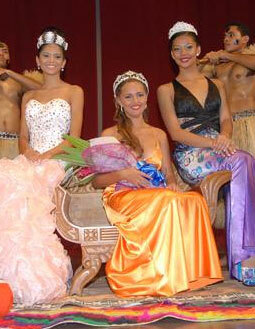 16 year old Torika Watters from Nadi was crowned as the new Miss World Fiji 2012 held at the Suva Civic Centre, in Suva. Torika has Fijian, Australian and Irish descend. She will compete representing her island in Miss World 2012 on August 18 in Ordos, Inner Mongolia in China. The first run-up was Koini Vakaloloma and the 2nd run-up was Tuula Aitcheson. 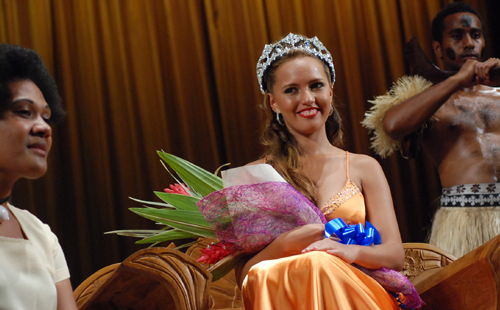 Aishwarya Sukhdeo, Miss World Fiji 2004, crowned her successor (she had been the first and only Fijian representative in Miss World history). New Zealand-born supermodel Rachel Hunter was a VIP guest and judge in the pageant which was organized by Andhy Blake.